Dr. Lewis is recognized as a pioneer of the capsule endoscopy technique, enabling patients from Manhattan's Upper East Side and throughout New York City get the diagnosis they need for gastrointestinal diseases and disorders without the need for more invasive endoscopic approaches. A capsule endoscopy is a minimally-invasive procedure that uses a small, pill-like capsule containing a camera to take images of the inside of the gastrointestinal tract. Inside the capsule are a tiny camera, light source, battery, and transmitter. Once the capsule is swallowed, it proceeds through your digestive tract just like a morsel of food, taking photographs along the way. As the pictures are taken, the images are transmitted to a small receiver worn by the patient. Once the capsule completes its journey – a process that takes several hours, the receiver is returned to the doctor and the pictures are downloaded onto a computer so they can be seen. The disposable capsule will be excreted by the bowel and flushed away. Capsule endoscopy is most frequently used to evaluate the small intestine, which can't be accessed with a colonoscopy or an endoscopy, looking for abnormalities and signs of diseases like Crohn's disease, ulcers or tumors. How will I feel during a capsule endoscopy? Prior to swallowing the capsule, you'll need to fast for 12 hours to ensure your gastrointestinal tract is clear so the photographs will be clear and unobstructed. Be sure to discuss any medications you take so changes in the timing of your dosing can be made if needed. A sensor belt will be placed around your waist and the recording device will be provided on a shoulder strap, then you'll swallow the capsule with several glasses of water. The capsule is about the same size as a large multivitamin. You'll be able to eat about four hours into your test, and you'll have to avoid strenuous physical activity. At the end of the imaging process, you'll return to the office so the receiver can be removed and the images can be retrieved. In multiple studies, capsule endoscopy has been shown to be completely pain and discomfort free. Will I gag or vomit? The most frequent fear expressed by patients is that they will not be able to swallow the capsule. Our experience shows that the capsule is easily swallowed in all cases and even the most apprehensive patient usually tolerates the procedure well. You are to have nothing to eat or drink after 7pm on the evening before the examination. The last meal should be light like a sandwich, avoiding fruits, vegetables, and salads. This should be a 12 hour fast. Iron pills should not be taken for 3 days prior to the examination. Please do not smoke cigarettes on the day of the examination, since this may cause a change in the color of the stomach lining. Do not take any medications or antacids during the fasting period. You may bring your medications with you to take during the day if necessary. If you are diabetic, please contact the office concerning your medications. You will arrive at our office on the morning of the exam after a 12 hour fast. Certain data, including height and weight, will be obtained from you to allow initialization of the recording device. You will then be given a simethicone mint strip to dissolve on your tongue. This breaks up any bubbles inside the digestive tract. Then a sensor belt will be placed around your waist. The sensor belt is then attached to the recording device, which will hang from a shoulder strap. Next, you will swallow the capsule followed by a full glass of water. The capsule will be turned on when it is handed to you, already flashing two times a second, sending images to the recording device. You will be asked to drink an additional two glasses of water. You can then leave the office and carry about a normal day. You should refrain from exercising during the exam. You can eat beginning 4 hours after swallowing the capsule. The capsule obtains images over 8 hours. You will need to return to the office after this amount of time, so that the sensor belt and recording device can be removed. The capsule passes in a normal bowel movement usually at 24 hours. It does not need to be retrieved and can be flushed down the toilet. Will they tell me what they found? Yes. The recording device is downloaded to a workstation overnight. The procedure of reviewing the data, 50,000 to 100,000 images, can take an extended amount of time. You may contact the office 2-3 days following the exam to check the status of your report. A letter summarizing the exam will be sent to your physician. You may return to your normal diet, 4 hours after swallowing the capsule, unless you are given other instructions. You will not be aware of the capsule inside your body and you may not be aware when it is passed in a bowel movement. Having performed thousands of capsule examinations, the potential for problems related to the procedure is distinctly uncommon. Capsule technology has been used since the 1950s. They were initially used to transmit information concerning acid production. John Glenn swallowed a capsule when he recently went into space. His capsule transmitted core temperature data. Capsules have been found to stay intact in the body and do not break open. One commonly expressed concern is that the capsule will become caught somewhere inside. Capsule endoscopy is contraindicated in patients with a history of bowel obstruction, bowel strictures, or fistulas. In these patients, the capsule can become lodged and surgery may be necessary to remove the capsule. In patients without symptoms of obstruction, e.g. without nausea, vomiting, and abdominal pain, the capsule has not become lodged and the exam is considered extremely safe. Capsule endoscopy is contraindicated in patients with a pacemaker or implanted defibrillator. The capsule is magnetic and thus patients should not go near a MRI during or after the procedure until the capsule passes from the body. Capsule endoscopy is an exam of the small intestine only. It does not examine the stomach or colon. Furthermore, due to variations in a patient’s intestinal motility, the capsule may only image part of the small intestine. It is also possible that due to interference, some images may be lost and this may result in the need to repeat the capsule procedure. 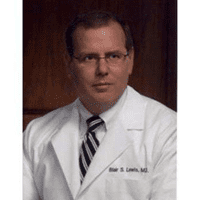 Dr. Lewis is a Clinical Professor of Medicine at the Mount Sinai School of Medicine. He is a world renown, board certified gastroenterologist who specializes in the field of endoscopy. He is past president of the New York Society for Gastrointestinal Endoscopy and the New York Academy of Gastroenterology. He served on the Board of Governors of the American College of Gastroenterology for 6 years. Dr. Lewis has written over 60 scientific papers and 23 chapters and he has authored 3 books; all in the field of gastrointestinal endoscopy. He is listed in the Best Doctors of America and has been listed as one of the best one hundred doctors in Manhattan. 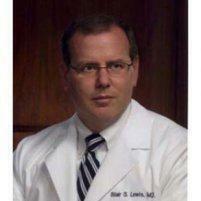 Dr. Lewis has helped pioneer the field of enteroscopy. He performed the first clinical trial of capsule endoscopy in the world and his data was the basis for FDA approval. He lectures nationally and internationally concerning this procedure. He is considered the world’s expert in the fields of enteroscopy, capsule endoscopy, and obscure gastrointestinal bleeding. Who invented the capsule endoscope? The endoscopic capsule was the idea of Dr. Gavriel Idan. He is an expert in the field of photography and developed the idea while on sabbatical in a Boston hospital. The capsule is manufactured by Given Imaging Limited located in Yoqneam, Israel. Their website is www.givenimaging.com. Please call us at 212-369-6600. Since there is nothing to fear, we want you to feel comfortable about Capsule Endoscopy. It is only through a relationship of high mutual trust and respect that we can achieve our common goal – your good health. We thank you and your physician for choosing us to participate in this phase of your evaluation.